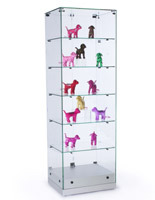 The quickest lead time you'll find on displays this size! 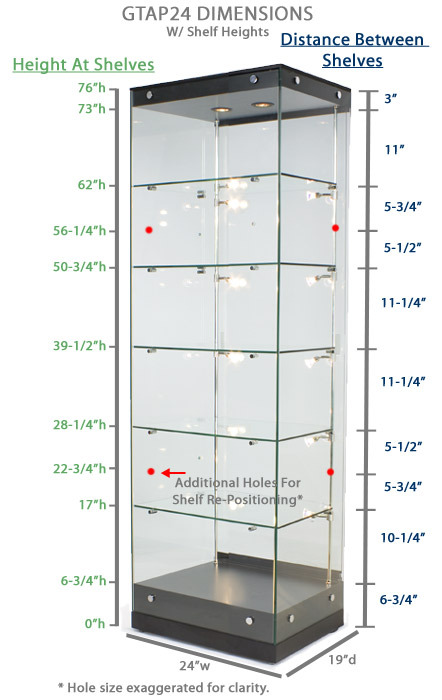 In-stock cases ship out today if ordered before 3PM EST! These display cases, glass cabinets can be just the upscale touch your store needs to look complete. 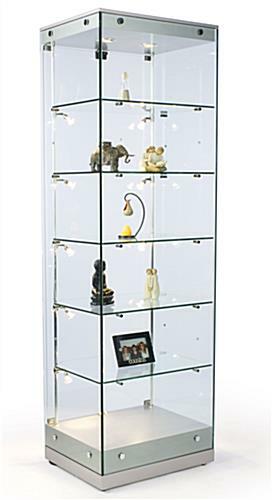 The Grace Tyler glass cabinets are crafted from thick tempered glass and an attractive silver finish to present a modern, stylish feel. A tempered glass shelving system, along with the absence of extrusions, makes the case appear completely frameless. 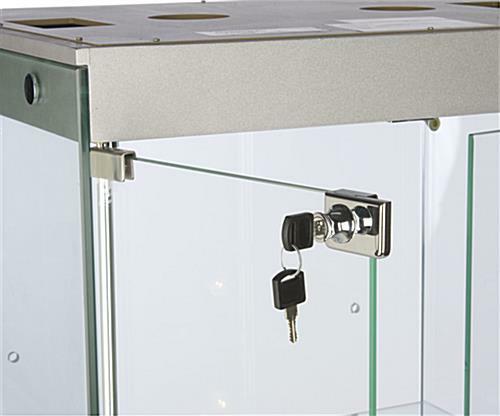 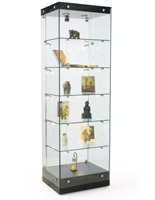 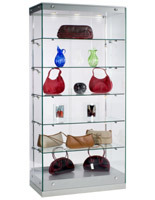 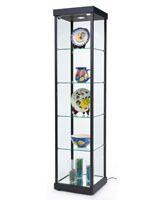 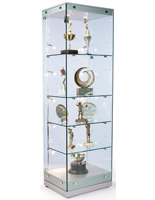 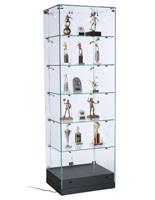 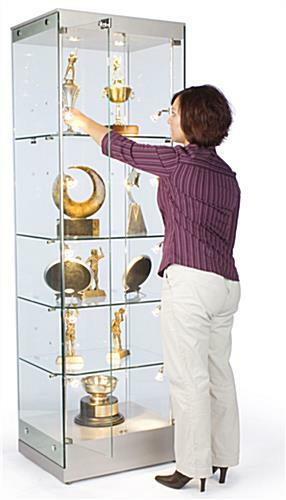 The glass cabinets, also known as display cabinets, are the perfect place to showcase your store's featured products.